We all struggle with things in life. Things that we hate and which everyone else seems to love. It can be summed up in word – inexplicable. I don’t really know why this happens, but there are a few camps on the matter. The most common belief being that over-saturation of something can lead to hatred of that same thing. We see pictures, memes, and discussions of something that we don’t know much about, nor do we really care for it, and the repetition grows and grows over time. To the point where resentment begins to set in. It is especially true of very popular characters like the Minions, Harry Potter or Batman. When this content shows up in your social media feed over and over again, but you have no love for it, you slowly grow to hate it because others glorify it and raise it on a pedestal which doesn’t agree with your sensibilities. Now psychology might say something completely different about this matter, telling us that hatred is often tied with difference. Difference being things which are separate from our own identities, and that when we hate something because it is different it says a lot more about us then the thing. But I’m going to urge you to ignore logic today and look at the facts; Chris, Mike, and I all have a huge hate-on for some select movies and we are going to make some excellent points to justify for ourselves we why love to hate popular movies. And of course, we each bring an example that burns close to the home fires. Yes hating things is usually bad, but sometimes its fun to hate something too, and if you aren’t directly hurting anyone, then it might even be cathartic to let it all out, dear readers. So this one is for the haters, to all you haters reading this post, take a minute and watch this video. This one is for you. And me. And Mike. And Chris. And it just might awaken something in Andre leading to a contribution or too! This is Cross Talk episode number 27. Please let us know what you think? And if you liked this video, please share, comment, and subscribe! I’m out of theories for the day, but this has been Cross Talk and timotheories has even more in store for July! Rehashing a story that rehashes another story doesn’t create more hash? Sheesh, y’all. What a wonderful thing is this reimagining that it can invigorate previous fans, and draw in troves of new ones too. Bill Condon is an American screenwriter and director, best known for his dual roles in Gods and Monsters as well as with Dreamgirls. He also had success directing Kinsey, Mr. Holmes, and very recently the 2017 version of Disney’s Beauty and the Beast. And that is the topic I shall choose to write about. Mostly because I bought a copy and watched it last week. In pre Revolution era-France, an enchantress disguised as a beggar (Hattie Morahan) arrives at a ball and offers the prince (Dan Stevens), a rose for shelter. When he refuses, she transforms him into a monstrous beast and his servants into household objects, and erases the castle from the memories of their loved ones. She casts a spell on the rose and warns the prince that, unless he learns to love another and earn their love in return before the last petal falls, he and his servants will lose their humanity forever. Years later, in the village of Villeneuve, Belle (Emma Watson) dreams of adventure and brushes off advances from Gaston (Luke Evans), an arrogant former soldier. Lost in the forest, Belle’s father Maurice (Kevin Kline) seeks refuge in the Beast’s castle, but the Beast imprisons him for stealing a rose. Belle ventures out in search for him and finds him locked in the castle dungeon. The Beast agrees to let her take Maurice’s place, despite her father’s objections. Belle befriends the castle’s servants, who treat her to a spectacular dinner. When she wanders into the forbidden west wing and finds the rose, the Beast, enraged, scares her into the woods. She is cornered by a pack of wolves, but the Beast rescues her and is injured in the process. A friendship develops as Belle nurses his wounds. The Beast shows Belle a gift from the enchantress, a book that transports readers wherever they want. Belle uses it to visit her childhood home in Paris, where she discovers a plague doctor mask. Belle realizes that she and her father were forced to leave her mother’s deathbed as her mother succumbed to the plague. In Villeneuve, Gaston sees rescuing Belle as an opportunity to win her hand in marriage and agrees to help Maurice. When Maurice learns of his ulterior motive and rejects him, Gaston abandons him to the wolves. Maurice is rescued by a hermit, Agathe, but when he tells the townsfolk of Gaston’s crime, Gaston convinces them to send him to an insane asylum. After sharing a romantic dance with the Beast, Belle discovers her father’s predicament using a magic mirror. The Beast releases her to save Maurice, giving her the mirror to remember him with. At Villeneuve, Belle proves Maurice’s sanity by revealing the Beast in the mirror to the townsfolk. Realizing that Belle loves the Beast, Gaston has her thrown into the asylum carriage with her father and rallies the villagers to follow him to the castle to kill the Beast. Maurice and Belle escape and Belle rushes back to the castle. During the battle, Gaston abandons his companion LeFou (Josh Gad), who sides with the servants to fend off the villagers. Gaston attacks the Beast in his tower, who is too depressed to fight back, but regains his will upon seeing Belle return. He spares Gaston’s life before reuniting with Belle. However, Gaston fatally shoots the Beast from a bridge, but it collapses when the castle crumbles and he falls to his death. The Beast dies as the last petal falls and the servants become inanimate. When Belle tearfully professes her love to him, Agathe reveals herself as the enchantress and undoes the curse, repairing the crumbling castle and restoring the Beast’s and servants’ human forms and the villagers’ memories. The Prince and Belle host a ball for the kingdom, where they dance happily. This version of the film does well to increase the mythos of this fairy tale, all while adding in additional songs, but never losing the main story nor the music which made it so memorable in the first place, but it does fairy fail in other ways. Learning more of the princes backstory, why the servants became objects, and the reason Belle has no mother are interesting, but add a lot of time to the story. In some ways it makes it a far more beautiful telling of the story, though it doesn’t significantly improve the stock of it’s Disney characters. Except for Gaston and Lefou… Their performances are noteworthy and feel very fresh throughout. Pros: Luke Evans and Josh Gad provide a far more nuanced and complex relationship for their characters, and Lefou is a scene stealer to be clear. Emma Watson does well in revitalizing and addressing the persona of Belle. Heck, even the new song the Beast sings is pretty swell. Cons: Kevin Kline just doesn’t quite cut the mustard as Maurice nor does Emma Thompson as Mrs. Potts. Their performances seem a little phoned in and do a lot to slow the story down in addition to 45 minutes worth of new songs and the aforementioned backstory updates. Points of Interest: During the Be Our Guest sequence, a model of Aladdin’s Agrabah castle appears. Belle takes on the role of inventor in this film over Maurice because Emma Watson wanted Belle to have more of a back story, and a better reason for being treated differently by the villagers. And in case you didn’t already know, Le Fou is Disney’s first official gay character. A story rehashed from a story already rehashed, 2017’s Beauty and the Beast works to window dress a film which is already well love by many, but guilty of the falling into the same philosophical challenges of its predecessor – love is the answer. The realist in me knows that love is hard work and to expect that love alone will cure sickness (read: mental health) and prejudice (read: sexism, violence and hate) is a silly aspiration, but the underpinning message of Beauty and the Beast can’t seem to shake it. I’m happy that movies are being made like Goat, Moonlight and Nocturnal Animals. 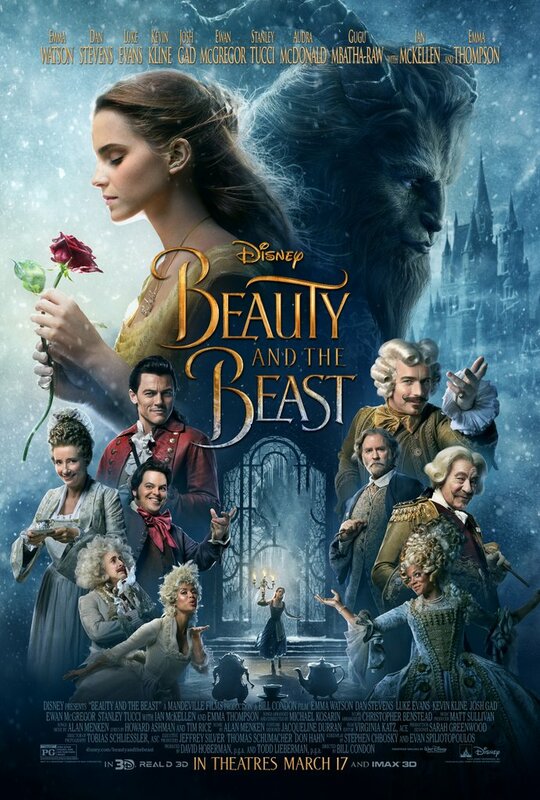 They address issues of toxic masculinity and other not-so-fun global problems, so I’ll say good on Emma Watson for injecting a stronger voice and presence in to Belle, and good on Bill Condon for keeping this movie a musical, and good on Disney for updating this story, but please can we stop making the same tales as old as time? But what do you do if a movie is critically acclaimed, everyone loves it, and all you feel is an underwhelming meh when you think about it? That’s the question on my mind today dear readers, and we’re about to find out why. Ron Clements and John Musker have directed a number of Disney Classics, from The Great Mouse Detective, The Little Mermaid, and Aladdin, to less popular choices Hercules, Treasure Planet, and The Princess and the Frog. Don’t get me wrong dear readers, those last three movies are all still good movies, just not as compelling as the first three. Ron Clements and John Musker also directed Moana. Which has been critically acclaimed and much beloved by the general public. But I am just not that impressed by it. Co-directors Don Hall and Chris Williams have a much smaller portfolio, having both worked on Big Hero 6, with Williams co-directing Bolt, and Hall co-directing Winnie the Pooh. Disney has a history of bringing on several directors for the their films, given the huge teams of people needed to animate their films. Ultimately most of the weight falls on Clements and Musker, and they seemed like the logical choice. But I personally feel like they’ve lost their touch and haven’t really got it back. Heck, they may never get it back. In the past I would have said that this was largely due to how dull the jokes felt and how ridiculous the characterizations were, but the reality is that those classic Disney films suffer from those problems too. No, the problem with this film is that it plays too safely to a well worn narrative, this time self-congratulating its team members for heavily researching their characters people they portray, in the hopes that they can serve up a fresh batch of disney princess without doing anything innovative. It bothers me to no end that this feels like yet another rip on Hawaiian culture, while profiting from the people it represents. Yes it’s beautifully depicted and the songs are lovely, but who cares about these generic characters? Anyone remember Lilo and Stitch? That was an entertaining movie and it was, as they say, authentic. Am I the only one that finds it ironic in one movie breath we hear Lilo say “Ohana means family. Family means nobody gets left behind,” and then in another movie breath we get to witness Moana completely go against tradition like oh so many heroes and heroines before her? And let’s not forget the literally showstopper of a crab voiced by Jemaine Clement and called Tamatoa. He halts the story but good during his time on screen. Which is frustrating because he could have been a really fun supporting character. Last, but certainly not least when we finally do meet Maui, he’s certainly not a caricature, but he’s definitely not likable either. He’s a bit of jerk with a thin character arc. I wish the hear of this movie had a better body to house it in, because never really engaged with me at any particular point. Pros: It’s refreshing to see a lack of a love interest in a Disney story as done previously in Zootopia and Frozen. And the visuals are amazing. It truly feels like a getaway from the typical fare. Cons: While it does move away from the love interest trope, it relies so heavily on other established ideas that it becomes evident fairly quickly where the story hasn’t taken any chances. It’s characters are not one-dimensional, but they aren’t engaging either. 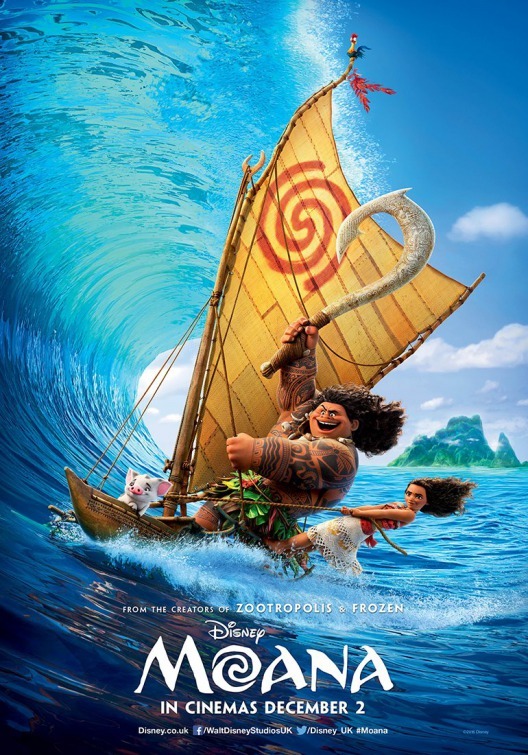 Points of Interest: While the film is entirely digitally animated, Maui’s tattoos were hand-drawn into the animation, making Moana a first in over five years to feature true animation. Moana is the first Polynesian of the Disney Princesses. I realize now that I didn’t get you much of a summary of the film, and for that I am kind of sorry. I really needed to go on a rant about this film. Because I don’t want more them to be made. 100% we should continue to support female protagonists who aren’t dictated by their personal relationships, but that doesn’t mean they need to revisit all of the other tropes that male leads have done over the past 100+ years of film. What do you think? Did you like Moana? I hope I haven’t been too harsh on this movie. It represents a positive direction, and if Disney can help change minds with its depictions, I’m all for it. I just want to see Moana fight an internal battle or two, have some nuance in her performance. But thats my theory, after all. I work in marketing. And as of this July I will have worked in marketing for a decade. That’s longer than I’ve committed to pretty much anything in my life. To this point, my longest romantic relationship was eight years, and the most physical hours I’ve put into being an artist is definitely less than a decade, maybe six years if I’m being generous. And interestingly enough, I’ve worked in marketing longer than many of my active friendships. Yes, I have a few friendships that have stood the test of time, but the point is, I’ve put a lot of time into this way of life. I’m gonna let you in on a secret too. I originally planned on pursuing a marketing job so that I could learn the ins and outs of the industry, and then go back to school for a masters degree in either sociology, anthropology or fine arts. Because I wanted to research, write, and lecture for a living. Spoiler: I still do. Somewhere along the line, I got comfortable with what I was doing, and so I stuck it out. My life became automated, like a robot, for about five years. Then I decided to change gears, and really commit to this marketing thing as a career… and I’ve had different marketing related jobs every year since I made that commitment, slowly climbing the corporate ladder. And this year I finally found something that I enjoyed enough to really want to do it for years, but I’m not going to do this forever either. Dear readers, I’ve realized that this is a phase, one that I need to grow out of. But that’s one of the most terrifying and fascinating things about marketing. It’s ability to convert your intentions ever-so-subtly towards something which you don’t really needs, making you believe that the desires are innate and that possession will satisfy. I want you to consider the idea that blue is for boys and pink is for girls is not inherent, for instance. We are told early on (by pretty much everyone) that boys gravitate to blue and pink is what girls love. But I read an article a while back that stated that it wasn’t until the late 19th century or early 20th century that pastel colours were introduced by manufacturers for babies, and many retailers had actually decided that pink was more suitable for boys because it was a variation of red, and red conveys strength. Blue was long associated with faithfulness, purity, and the Virgin Mary, a symbol of femininity. By the 1940s many manufacturers had flipped the script and settled on pink for girls and blue for boys. And then I read this month’s 5 L’s Of Language book – Cinderella Ate My Daughter. My girlfriend recommended it to me, and I read it on a whim, not realizing what I was getting back into. In the book, author Peggy Orenstein takes us down a road about gender norms for girls and identifies the phenomenon of princess culture, dominated by Disney merchandise, and how it has permeated through our girls lives, in television, film, at school, in pageantry, and especially online. One section in particular focuses on the development of the colour pink into everything, and how many marketers emphasis the point of pink and blue to assure parents buy two of everything. One of my favourite moments of the book came towards the end. I’ll share the quote with you for simplicity. Small children are tied in strongly to external signs of identity – clothing, colour, haircut, toys. But as they reach puberty, they’re drawn more strongly by internal factors, that of being accepted by their peers and are also more willing to reject traditional authority from their parents. In other words, when children are small, it’s okay for them to be tied into simple notions of gender, but you shouldn’t mask how you feel for them, and as they age, they should be given opportunities to explore boundaries, especially ones they grew up with. It’s a rare thing for me to read a book cover to cover in less than 24 hours, but I was able to do that for Cinderella Ate My Daughter. It contains more than enough meaningful content to sift through, and frankly Orenstein has an ability to break down complex concepts into digestible pieces and do so with a self-reflexive analysis of the minutiae, questioning herself and gaining insights along the way. I’ve decided this book fits rather neatly into the LABEL category of The 5 L’s Of Language, and at just over 200 pages it’s something you could burn through in a week or two. Or one day if you are insane and want to read for several hours straight. This books opens with a question about the princess phase, and then rightly closes with a demonstration of the end of the phase delivered via Orenstein’s daughter Daisy. You see creative cuties, Daisy loves Mulan, and one day Daisy questioned the world that Mulan inhabits as featured in the Mulan sequel, Mulan II. Daisy asked her mom why the princesses in the film would sing about freedom, not realizing that it isn’t always easy to be a princess. And that’s also why it’s called the princess phase, because kids grow out of it, as they develop critical thinking and healthy skepticism. But I guess that could just be a theory? I like comic books – Always have. Always will. The surface reason is pretty straight forward. I really appreciate a good narrative, and because I’m fascinated by visuals, comic books can’t be beat when it comes to pulling off a spectacle of visuals and for providing that sense of satisfaction. Correction, I probably shouldn’t call it satisfying, instead I should call it gratification, because the nature of the comic book is a continuing story. Gratification is something we are thankful for, while satisfaction is a feeling of enough. You see, dear readers, the comic book by its very nature never finishes, so you cannot experience the fullness of pleasure, you’re left wanting. This is great for sales, when a book has a strong story and great visuals. Less so when the book isn’t picked up. After all, the comic book industry is perpetually dying. If you haven’t seen Christopher Nolan’s The Dark Knight yet, I’m sorry to hear that. It came out almosta decade ago and it’s probably one of the best comic book based movies of all time, if not the best… possibly sharing the limelight with Iron Man no.1 and the first The Avengers movie for my top picks. Anyways, there is this great scene at the end of the movie wherein the newly appointed Commissioner Gordon gives a speech at Harvey Dent’s funeral. He describes Batman as a dark knight, a watchful protector, what the city of Gotham deserves, but not what it needs. The city needs a white knight in shining armour, flawless and serving as a beacon of hope. 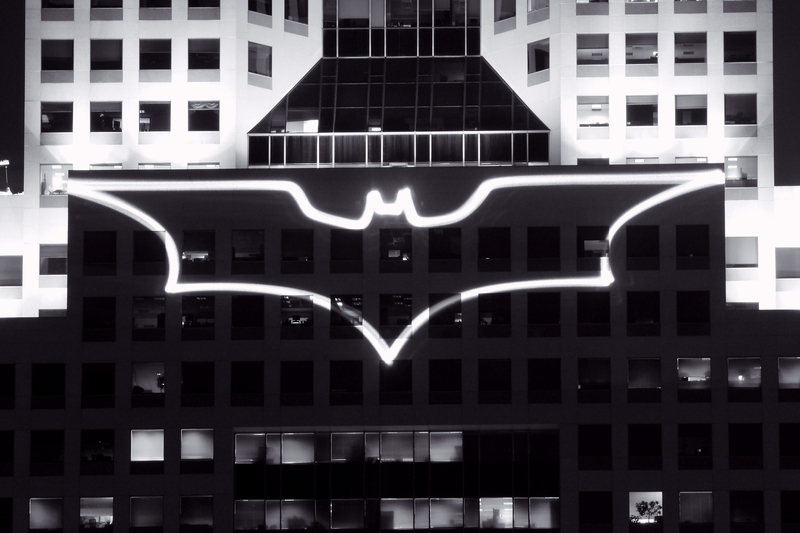 The city doesn’t deserve a flawless hero, but Batman is willing to become the villain in order to help his community rise up out of the darkness. 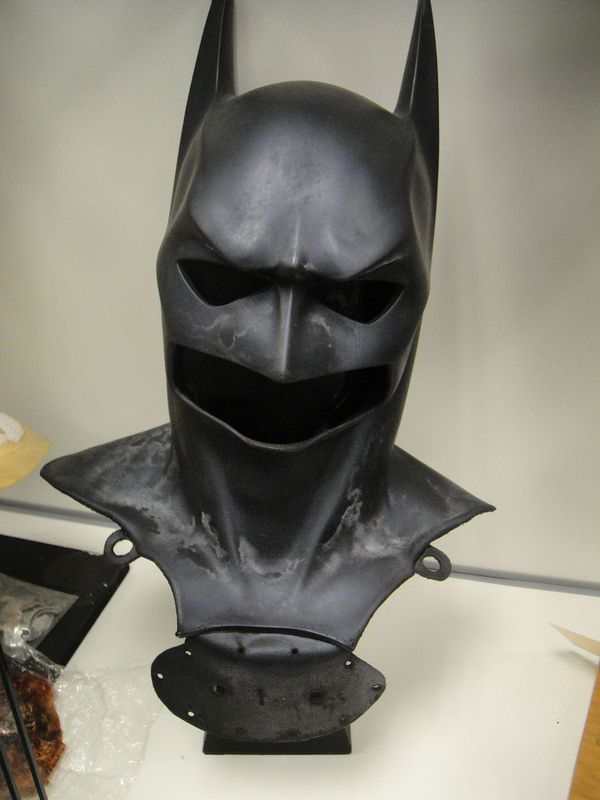 In fact, Batman is flawless in that he is a true hero, he loses his parents and the love of his life, but he continues forward as a warrior for justice. But Harvey Dent is very flawed, and when the chips are down, he reveals that he is capable and willing to go to The Joker’s level, becoming Two-Face. Now, let’s talk about Scott Snyder. Scott Snyder is known for his comic book writing skills, having worked with DC and Vertigo on various books – American Vampire, Detective Comics (part of The New 52 relaunch), Batman, and Swamp Thing. A lot of people have said that Snyder’s work on Batman has been exemplary, and I would tend to agree. I recently read the hard cover volume of The Court of Owls, and was pleasantly surprised at how well he was able to combine new storytelling with flourishes of what came before. Scott Snyder is the Batman writer we deserve, because he spent five years working with artist Greg Capullo to give a new perspective to Batman, respectful of what preceded, but willing to explore. This is something that all comic fans really want to see, and it’s a difficult line to walk. I think he was able to accomplish this by building upon key moments and seeing the story through to whatever direction it took. Kind of amazing when you stop to think about it. Even his twists and turns on The Joker is one to remember. All the things I ended up writing about, those things that are deeply frightening to me—fear of commitment and growing up, fear of losing loved ones, the wonder and terror of falling in love—all of it was constantly being played out all around me in this weird, cartoonish, magnified way at Disney. Which tells me that he deserved to write for Batman, and we deserved to have him. Not to sound like a broken record, but yeah – a labour of LOVE is what it comes down to friends. And this is why Scott Snyder is this month’s featured author for my 5 L’s of Language post. His massive love for the subject material he writes about comes through no matter what. And this is something you too should take to heart. No matter what the occasion or the reason, always be headed towards you purpose and be authentic in your feedback, if you can do this, you’ll be like Batman. But that’s just a theory.